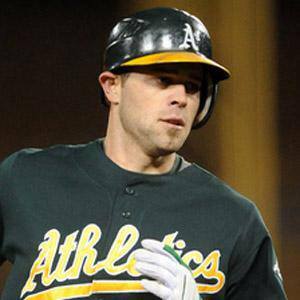 MLB shortstop who began his career with the Oakland Athletics in 2003. After deciding to play college baseball at California State University, Long Beach, he improved his draft status from round 34 to round 1. He was named American League Rookie of the Year in 2004. His older brother Brian became an artist for Walt Disney Imagineering. His younger brother Blake also became a baseball player. He and Mark McGwire both won Rookie of the Year with the A's.